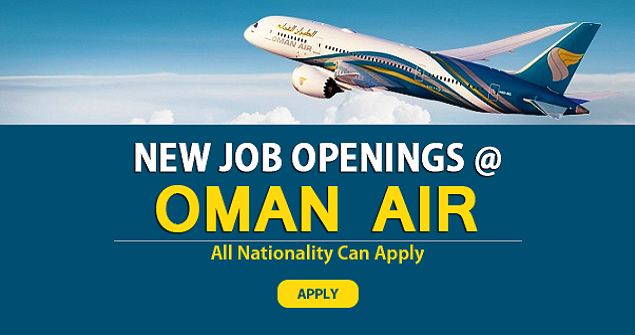 Jobs At Oman Air. Oman Air is Oman's national airline with a base at Muscat International Airport. Operating both international and domestic passenger services, it also offers chart flights and air taxis. Oman Air is also part of the Arab Air Carriers Organization. As a major employer in the Middle East, there are plenty of jobs at Oman Air across a range of sectors. Whether on the ground or in the air, there are multiple opportunities for employees at all levels with this prestigious company. If you are interested in applying for a position as a pilot with Oman Air, the Cadet Pilot scheme is ideal for you. For more experienced pilots, there are also careers at commander level. Anyone interested in joining Oman Air as cabin crew can look forward to joining an elite team. These roles give employees the opportunities to provide impressive customer service in a vibrant and exciting environment that allows them to experience a range of cultures and meet all kinds of new people. The selection process for Oman Air cabin crew is rigorous but those who are successful can benefit from an excellent remuneration package. Health & Life Benefits - medical plans, life insurance, disability and vision protection as well as optional schemes like legal aid, reimbursement accounts and long term care packages. Travel - employees and their families are able to travel on Oman Air flights worldwide and to take advantage of discounts on travel with other airlines. They can also benefit from reduced rates on cruises, car rentals and hotels. Career Development - Oman Air employees are encouraged to grow professionally and are given the resources and support they need to reach their full working potential. The Oman Air website has a careers section which lists all of the available roles with the company across all of the sectors and in all of the countries in which the airline operates. A simple keyword search can be carried out to find an appropriate job, or for those candidates with a more specific criteria, it is possible to perform an advanced search which allows the user to search by job title, job location, job category or sub-category as well as keywords. Applying for a Job at Oman Air is very simple. 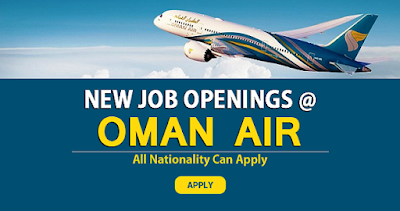 You simply visit the Careers Page of the Oman Air website, search for a job that suits your criteria, skills and experience and then apply direct by emailing a CV direct to the company. All applications are then assessed for suitability and a response will be received within 6 weeks if the company want to invite you to interview. If no response is received within this time frame, you will not have been shortlisted. Shortlisted candidates must attend an interview and also complete several other tests depending on the role applied for which may include job simulations, psychometric analysis and presentations. Usually successful candidates will be informed within three weeks of the interview being held. Referees are always contacted by email or telephone as part of the process of selection and candidates may also be required to be subjected to a medical examination depending on the position applied for. Security checks are also essential before the final job offer is given.